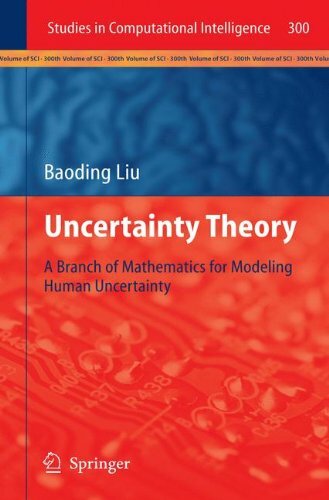 Uncertainty theory is a branch of mathematics based on normality, monotonicity, self-duality, countable subadditivity, and product measure axioms. Uncertainty is any concept that satisfies the axioms of uncertainty theory. Thus uncertainty is neither randomness nor fuzziness. It is also known from some surveys that a lot of phenomena do behave like uncertainty.